Many thanks to all those that made it down for our open day last Saturday making it a great success. 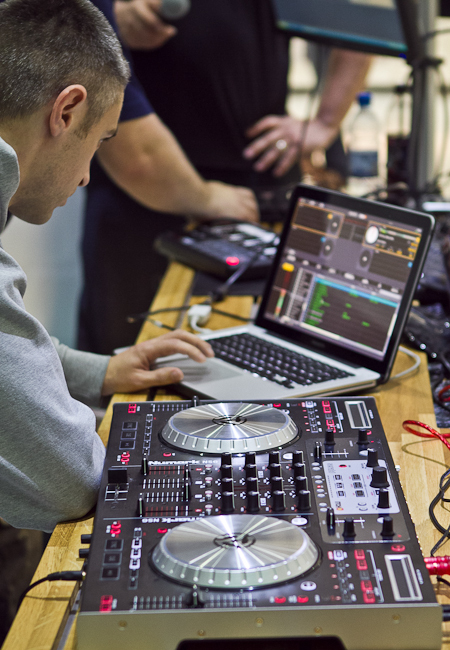 The theatre area was set up and demos, training sessions and Q&A’s took place throughout the day with Ableton production and remixing sessions being popular and the showmanship of Dj Rasp entertaining all between the seminars themselves. If you missed out this time watch the site for futher announcements as we have another being planned before the end of the year. 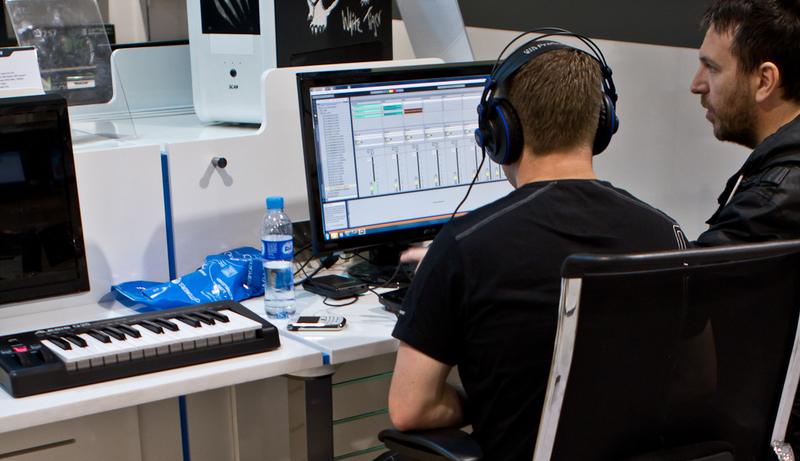 Luke Statelapse and Tom Autobot dissect a Dubstep Remix. 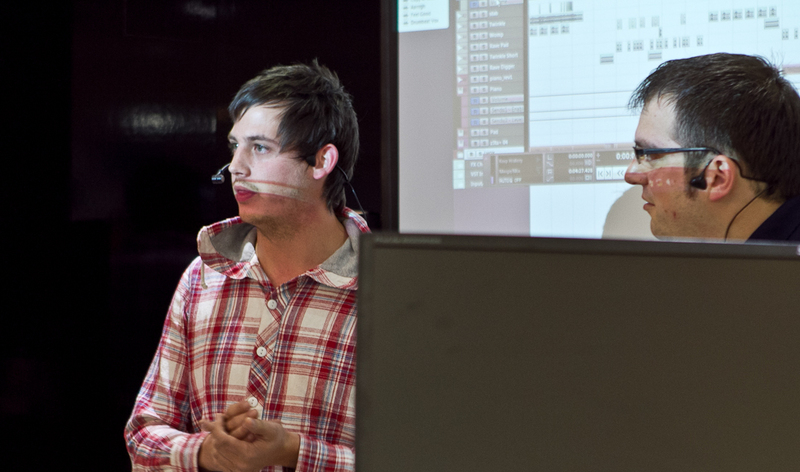 Simon gives a 1 on 1 Ableton talk through.